The French Tarte strives to create delicious French style tarts, shortbread and viennoiserie using fresh ingredients, hands-on techniques and attention to detail. The feel of the dough, the aromas wafting from the kitchen, the taste of a well made pastry - that's what it's all about. Join me in the discovery! 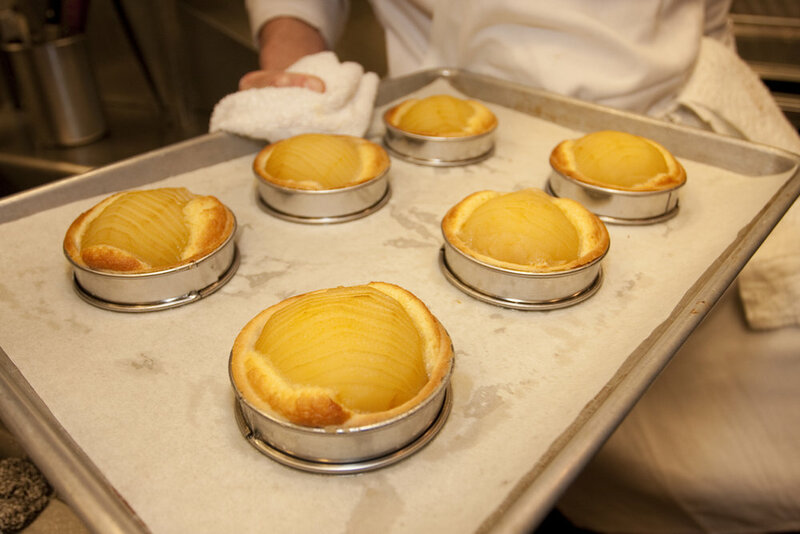 The French Tarte LLC, a cottage pastry business based in Grand Rapids, Michigan, offers private and small group pastry classes and from-scratch French style pastries with a focus on smaller portions, fresh ingredients and delectable tastes. Just a few specialties include twice baked almond croissant, browned butter financier cakes, caramel nut tarts, flaky apple turnovers and simple yet classy assortments for small occasions. All of the French Tarte's goods are available to order by direct contact with Susan, either via the contact page on this site or email: susan@frenchtarte.com or phone: 774-280-4803 (don't let the area code confuse you - I'm in Grand Rapids MI!). Let me put something delicious together for you.